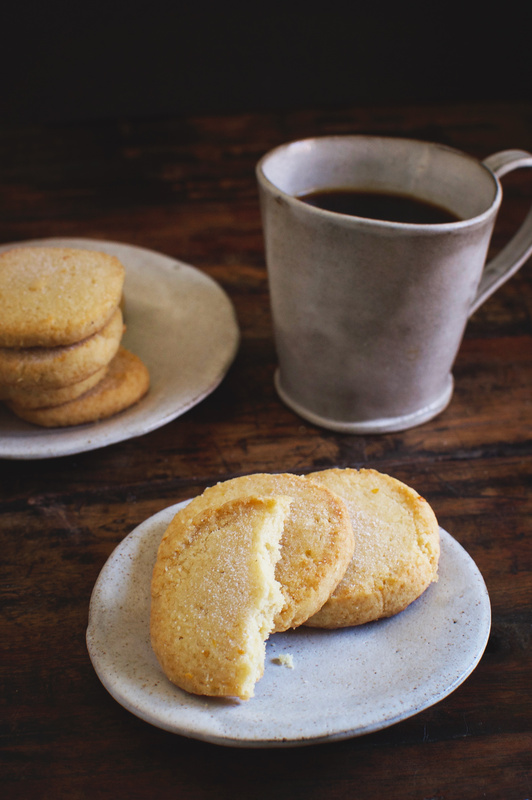 Our Low-Carb Sugar Cookies boast a delicate buttery texture that everyone will love! This recipe can be part of a low-carb, gluten-free, grain-free, keto, Atkins, diabetic, or Banting diet. I have been baking up a storm lately! There are cookies to bake and delightful desserts to create! I want to get some recipes out to all of you so you can do holiday baking and enjoy holiday goodies without wrecking your diet! Of course, one of the classic cookies popular this time of year are sugar cookies. 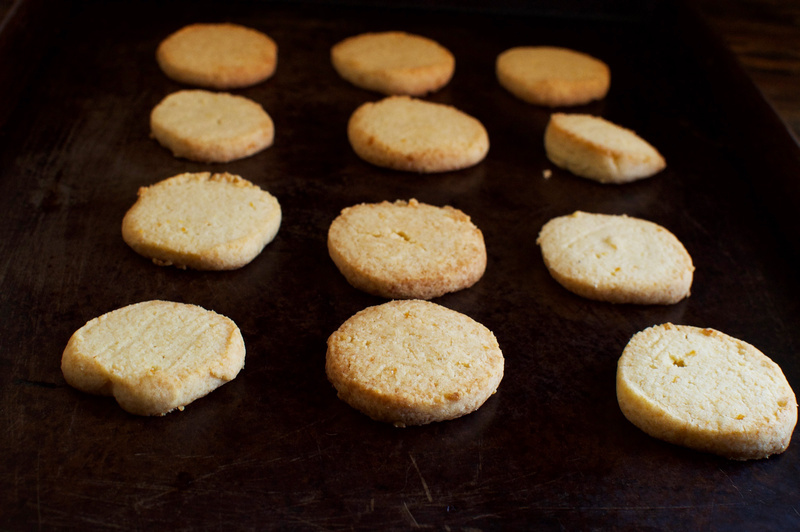 Sugar cookies were always my favorite cookies to make as a kid. I loved rolling out the dough and cutting it into shapes. I remember watching them bake through the oven door. the best part, of course was decorating them. This sugar cookie dough can be rolled into a log, then sliced into perfectly round cookies, or it can be rolled out and cut into cookies. The choice is yours! However you decide to shape them, these cookies taste delicious. 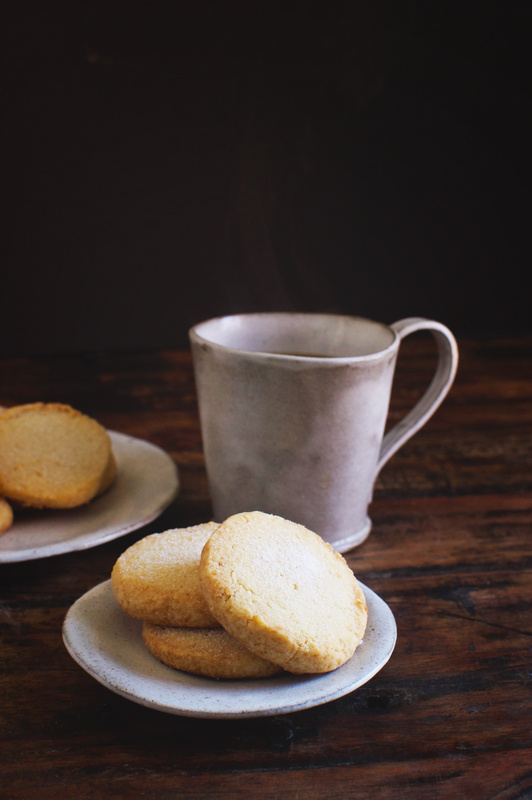 They have a delicate texture and a buttery, almond-scented flavor. 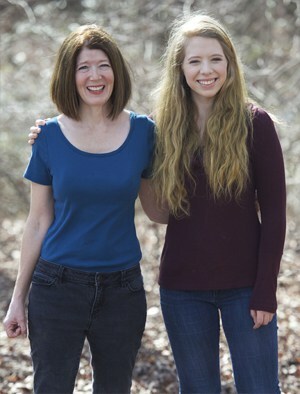 It’s hard to believe they are low-carb! 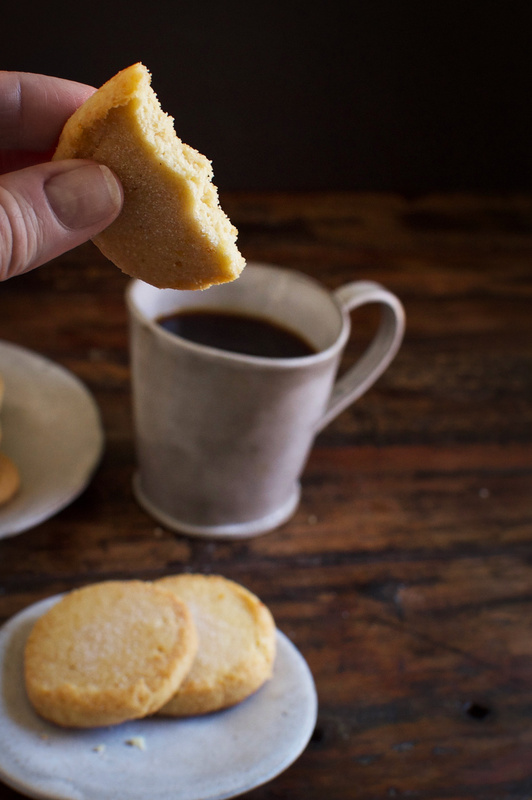 These Low-Carb Sugar Cookies are perfect for nibbling at home or taking to a holiday party. Add them to a platter with our Low-Carb Molasses Gingerbread Cookies, our Low-Carb Pecan Shortbread Cookies , and our Low-Carb Chocolate Hazelnut Cookies to make a delicious low-carb party tray. Enjoy! 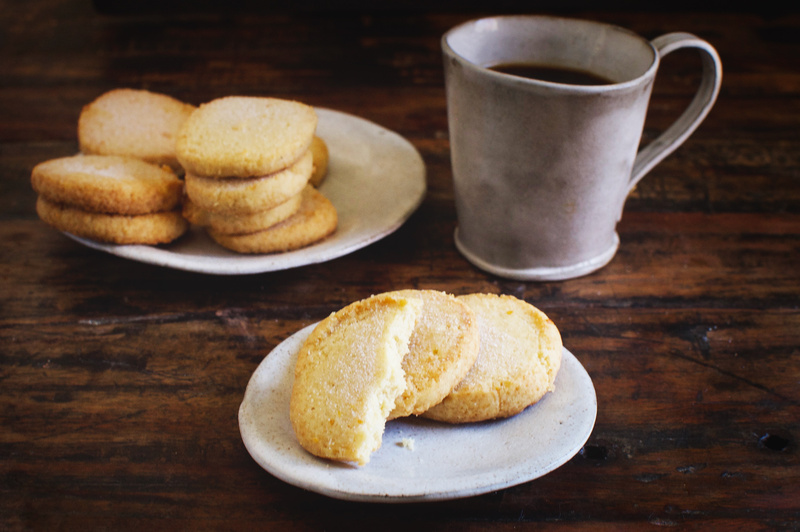 Our Low-Carb Sugar Cookies boast a delicate buttery texture that everyone will love! These delicious cookies can be part of a low-carb, gluten-free, grain-free, keto, Atkins, diabetic, or Banting diet. Place almond flour, stevia/erythritol blend, baking soda, and sea salt in a food processor. Pulse a few times to blend. Add vanilla and almond extracts and butter to the mixture. Pulse several times until the mixture sticks together and forms a dough. Turn dough out onto a piece of parchment. Shape dough into a log shape, about 8 inches long by about 2 inches in diameter. Place dough in an air-tight container or wrap in plastic wrap. Refrigerate 3-4 hours. Spray a baking sheet with coconut oil. Place dough on a cutting board. Using a serrated knife, cut the dough crosswise to form 16 equal sized cookies. Place cookies on the prepared cookie sheet, making sure there is at least an inch between them. Continue with baking instructions below. Turn dough out onto a piece of parchment. Shape dough into a disk shape about 8 inches in diameter. Wrap dough in plastic wrap and refrigerate for 3-4 hours. Spray a baking sheet with coconut oil. 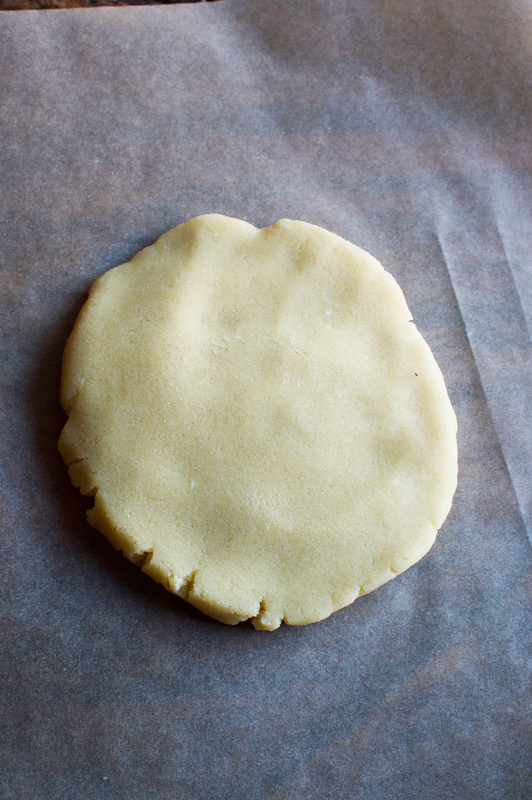 Place disk of dough onto a piece of parchment. Cover dough with an additional sheet of parchment. 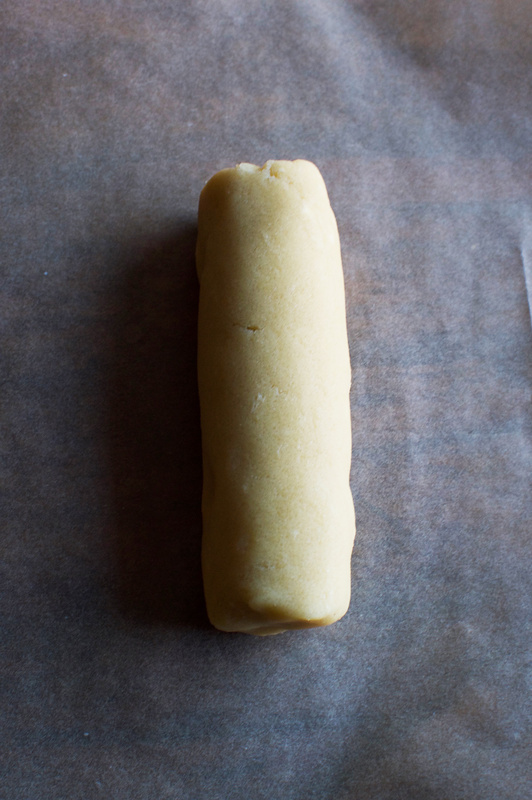 Roll dough out to a thickness of about 1/4 inch. Cut into desired shapes using cookie cutters. If the dough sticks to the cookie cutters, spray them with a bit of coconut oil before using them to cut the dough. Place cookies on the prepared cookie sheet, making sure there is at least and inch between them. Continue with baking instructions below. Bake cookies for 8-10 minutes or until edges begin to brown and tops are golden. Allow cookies to cool on the tray for 2-3 minutes, then transfer them to a cooling rack using a spatula and allow to cool completely. Decorate if desired. I just made these last night, and they are delicious!! They totally don’t taste low carb, and now I am going to work my way through all of your recipes!! I have the chocolate donuts in the oven now too! Thanks for all you do! Thanks, Haley! Have fun trying all of the recipes! Can coconut flour be usex? 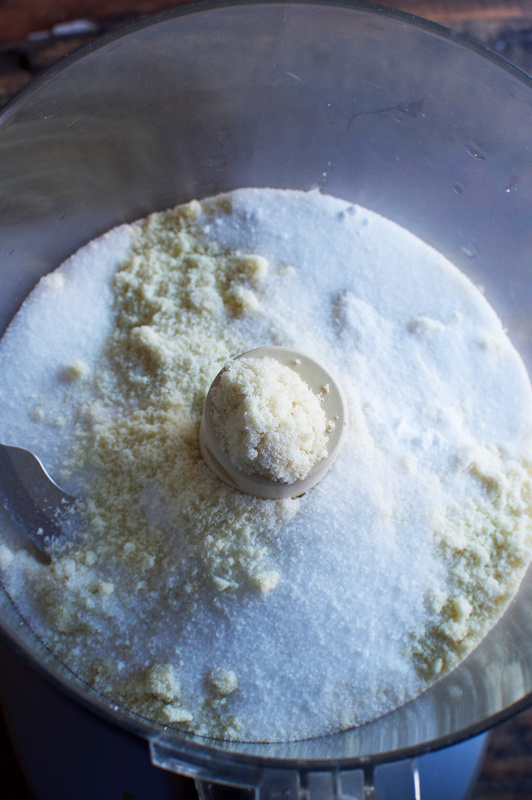 Coconut flour acts very differently than almond flour, so it can’t be replaced in an equal quantity. I’m not sure how much you would need to use without trying the recipe using coconut flour. Can I sub the stevia/e with coconut sugar? I know it isn’t as low carb, but stevia gives me headaches. Thank you! To use coconut sugar, you will want to use double the amount of the stevia/erythritol blend. This may affect the consistency of the batter. Do you have a cookbook with the low carb recipes? Not yet, but maybe in the future! 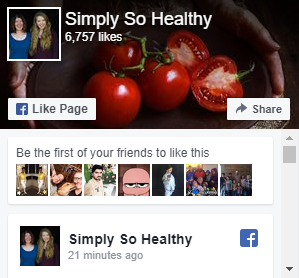 We have loved all of your simple recipes and I expect this one will be no exception. Thanks for the delicious ideas! You are welcome! We must be thinking alike. Making a batch of these is on my list of things to do! I made these the other day. So good and so easy! I love the simplicity of this recipe! I don’t have time for complicated processes or endless ingredient lists. Planning on trying these out today! Thanks!!! Thank you! It’s nice to be able to make cookies easily! The only thing that takes time with this recipe is the chilling process. Quite frankly, if you didn’t want to spend the time chilling the dough, you could probably get away with it, although the dough won’t be as easy to work with. I’ve become enamored with cookie molds. Will this recipe work for these? I have a friend who is diabetic I would like to gift her with these cookies, but want to use some of the beautiful molds I’ve collected. I’ve never used cookie molds with this recipe, so I don’t know how it would work, but I don’t have any reason to think that it wouldn’t work. I would spray the mold well with cooking spray first to help prevent sticking. I think the cookies would hold their shape well in the oven. Could you use nutribullet to pulse? I don’t know how a Nutribullet does with dry ingredients. If it has a food processor attachment, that might work. 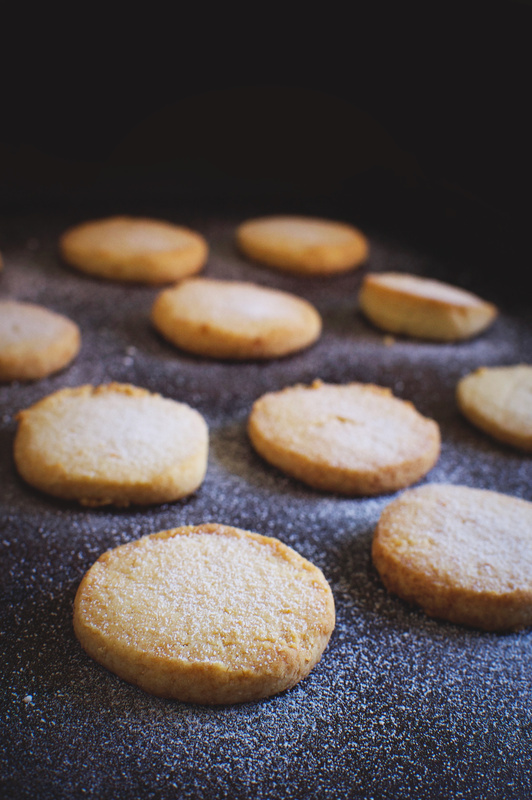 Otherwise, you could probably simply use a pastry blender like you would for biscuits. Could you use monkfruit for the sweetener? If it’s the powdered Monk fruit, it may not have enough bulk. If it’s mixed with erythritol, you may need to change the quantity depending on how sweet it is. The sweetener I use is twice as sweet as sugar. If your sweetener is the same sweetness as sugar, you will need to use twice as much. These are amazing, I love the almond scent! The only thing is I had to double the recipe to get 16 cookies. So glad you enjoyed them! Thanks for your feedback! In most of my recipes coconut oil can be substituted, but I’m not sure about this one. Butter is a super-important ingredient in this one and a difference in melting point and other small differences may change how the recipe works. Hi can I use equal amount of granulated swerve in place of Stevie/erythritel blend? Swerve is only about half as sweet as Pyure, so you’ll need to use more to get the same sweetness. This may affect the texture of the dough. I think it will be okay, but honestly, I’m not positive. So so good! Hard not to eat all of them at once. Thanks for the recipe! Super easy and it uses basic ingredients. I forgot to refrigerate the dough before baking (too eager for cookies I guess). The dough was difficult to work with but the finished product was still delicious! I used some sugar cookie flavor drops since I didn’t have almond or vanilla extract, worked well. The waiting is the hardest part. If I don’t want to wait,I’ve found that I can roll out the dough between two sheets of parchment and chill for just 1/2 hour to an hour, then cut out the cookies. The dough chills faster if it’s rolled out. Can you use I can’t believe it’s not butter sticks instead of real butter, or use vegan butter? Im not supposed to eat all that grease from the cow.Im supposed to choose heart friendly options. I think those options would work for the recipe, but I would be careful about trans fats in many margarines. It seems that trans fats are the least heart-friendly options. This article is an excellent explanation about fats and how your body uses them. Can you use something else for the almond extract? Or could you leave it out? My family and I aren’t to fond of the taste it has? Could I add more vanilla? If so how much? Thanks! We are planning on decorating Christmas cookies and I want to be able to eat some lol! You could just leave it out and they would be fine. We live at 7,000 feet. What adjustments should I make to bake these cookies? We have been keto for a few months and my autistic son needs a no-sugar treat for the holidays. Thanks! Honestly, I’ve never worked at high altitude, so I’m not really sure. I can’t speak from personal experience, but general recommendations are to increase the temperature (maybe try adding 25º Fahrenheit). You will want to watch them carefully as baking time may be different (probably longer, but if you increase the temperature, I’m not sure. You may want to decrease the baking soda slightly. Good luck and let me know how it goes. Do you think the dough could be frozen? And if so, how much increased baking time would be needed? I’m making these for my son, and thinking of slicing them and freezing, so he can take a few out and bake them fresh. Thanks! I don’t know how that would work. Maybe you could try it with a few and see how it goes. Hi, can I replace the sweetener with regular sugar and almond flour with regular plain flour? You may just want to use a sugar cookie recipe that isn’t low-carb rather than worrying about substitutions in this one. I mixed the dough with my hand, used this recipe to make snickerdoodles they where sooo yummy! Thank you!